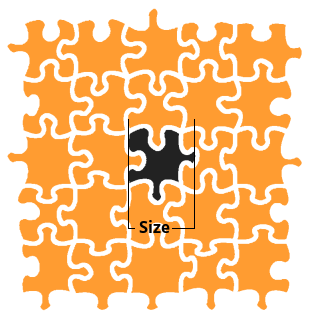 The Jigsaw Doctor - Prices for replacement of missing and lost jigsaw puzzle pieces. Quantum Enterprises is based in the United Kingdom, but we will supply worldwide. Prices are quoted in UK Pounds Sterling, with an approximate conversion in US Dollars. However, provided you have a valid credit card, we will accept your order from anywhere in the world in any of the main currencies. Don't worry about converting the UK price into your currency, your credit card company will do this when you make your payment. Handling & shipping charges are given for one piece. Additional pieces will increase the shipping charge, but will not necessarily multiply it. You can review the total shipping cost before you finalise your payment. UK customers: please see the notice about payment by cheque or postal order to find out how to ensure you pay the correct amount. UK customers should still click the payment button on the Instructions Page if you wish to pay by cheque or postal order. 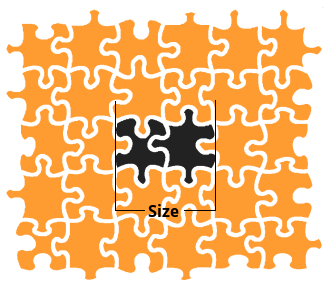 The price of a replacement piece depends on its size. To find the size, measure the LARGEST dimension (including the 'lugs') of the hole for the piece to be replaced.